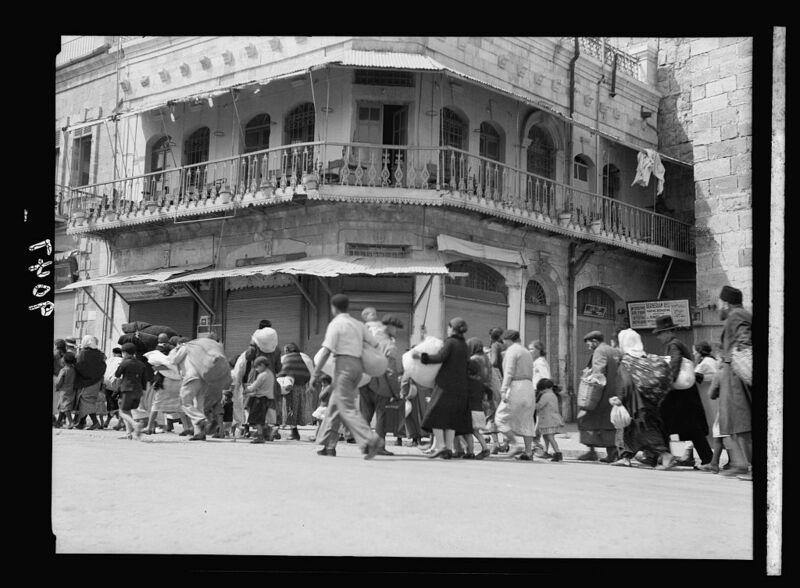 The Library of Congress collection includes pictures of Jews being evacuated during Arab riots and pograms in 1929 and 1936. 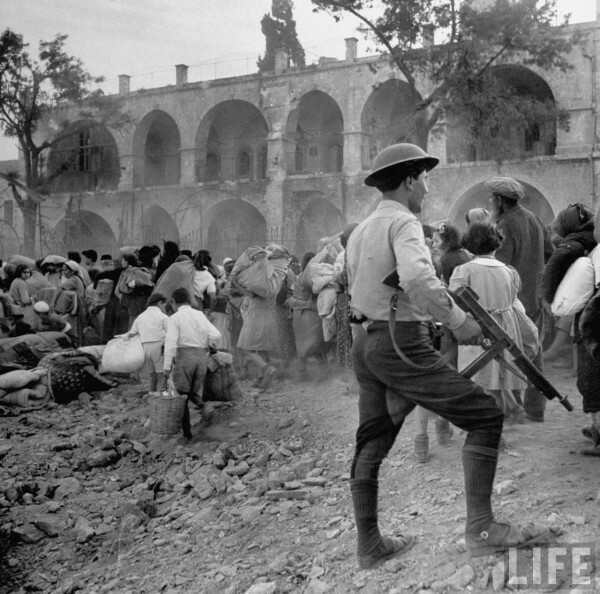 In 1948, Life Magazine's John Phillips photographed the heart-wrenching pictures of Jews of the Jewish Quarter in Jerusalem captured by Jordanian soldiers or being expelled. Policy-makers in European capitals and in Washington oppose Jewish construction in all sections of Jerusalem. 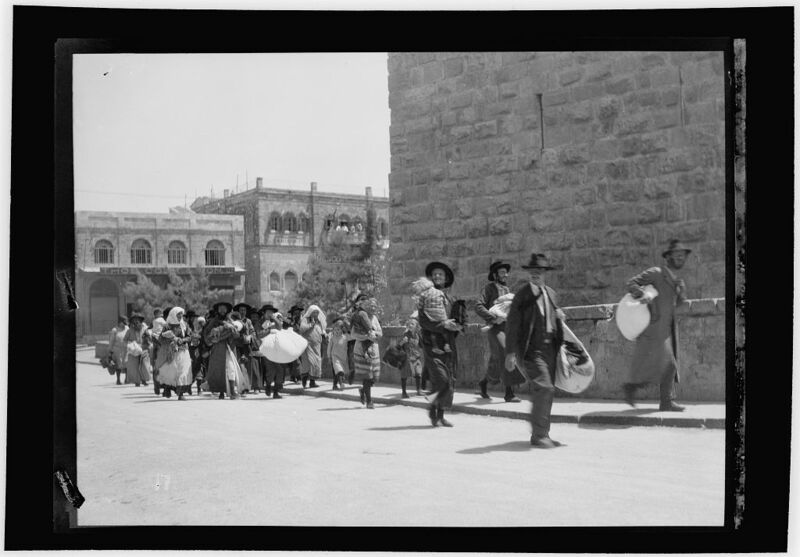 Radical leftist tourists fly in to Jerusalem to join Palestinian demonstrators protesting Jews returning to homes they were chased from in 1929 and 1936. 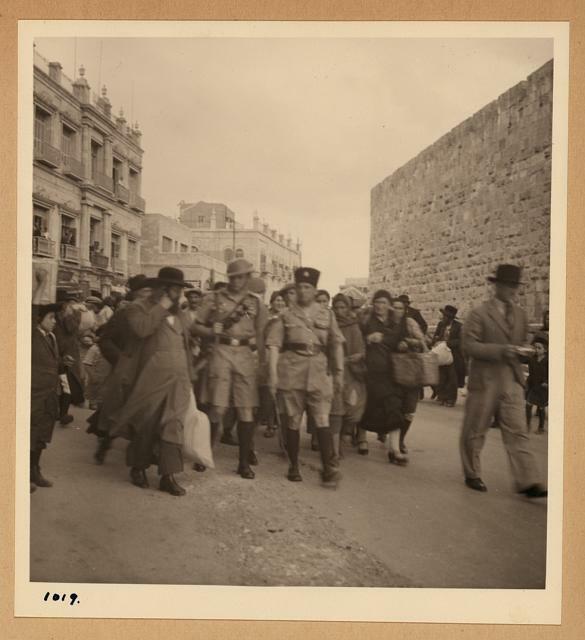 ﻿﻿﻿﻿The actual photos presented here may not be seared into the Jewish people's collective memory. But they are permanent scars on their collective heart. It's a fact that those policy-makers should bear in mind. It's another important emotion behind the declaration, "Never again." 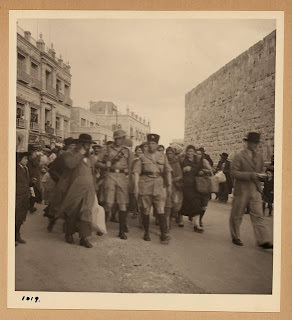 This picture on the right was taken earlier this month in Jerusalem during Jerusalem Day celebrations commemorating the reunification of the city during the 1967 war. 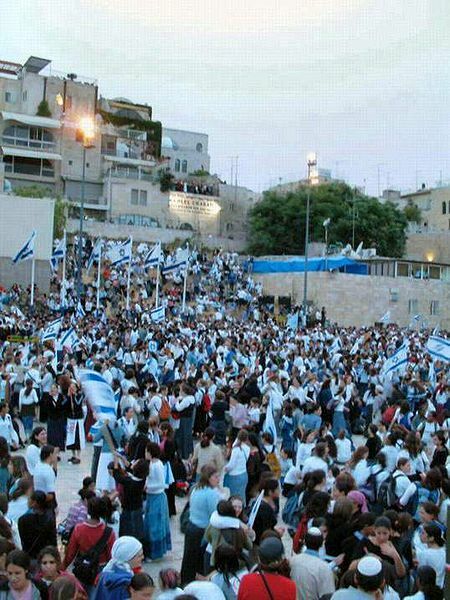 For millions of Jews, it represents actualization of the age-old prayer, "And to Jerusalem, Your city, in compassion may You return, and may You abide within it as You have spoken. May You rebuild it soon in our days as a structure that is eternal..."